Klean BCAA + PEAK ATP® is tested and certified by the NSF Certified for Sport® program, which was created to meet the growing demands of athletes, coaches and healthcare professionals to certify that sports supplements are safe and completely free from banned substances. Every product that carries the NSF Certified for Sport® mark has undergone stringent laboratory testing to confirm content, purity and compliance. 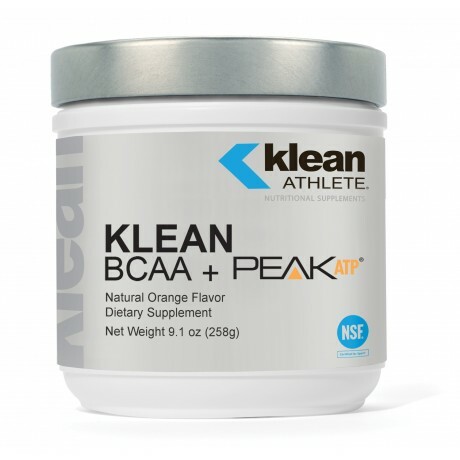 Klean BCAA + PEAK ATP® is indicated for athletes that desire muscular performance and recovery support from a great-tasting branched chain amino acid and ATP dietary supplement. Other ingredients: Natural orange flavor with other natural flavors, xylitol, citric acid, malic acid, stevia leaf extract, monk fruit extract, sunflower lecithin, and annatto. 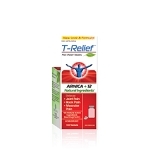 Peak ATP® is a registered trademark of TSI USA Inc. and is used under license. Adults, mix one scoop with 8-10 oz. of water or other beverage and blend well. 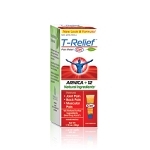 This product is best taken 30 minutes before exercise. It can also be consumed during and post-workout. Consume one to two servings daily without food, including rest days. WARNING: If you are taking anti-diabetic medications or Levodopa, consult a doctor before using this product. Slater G, Phillips SM. J Sports Sci. 2011;29 Suppl 1:S67-77. Norton LE, Layman DK. J Nutr. 2006 Feb;136(2):533S-537S. Pasiakos S, McClung H, Young A, et al. The American Journal Of Clinical Nutrition [serial online]. September 2011;94(3):809-818. Churchward-Venne TA, et al. Am J Clin Nutr. 2014 Feb;99(2):276-86. Matsumoto K, Koba T, Hamada K, et al. J Nutr Sci Vitaminol (Tokyo). 2009 Feb;55(1):52-8. MacLean DA, Graham TE, Saltin B. Am J Physiol. 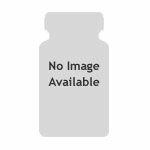 1994 Dec;267(6 Pt 1):E1010-22. Shimomura Y, Murakami T, Nakai N, et al. J Nutr. 2004 Jun;134(6 Suppl):1583S-1587S. Review. Hassmén P, Blomstrand E, Ekblom B, Newsholme EA. Nutrition. 1994 Sep-Oct;10(5):405-10. Blomstrand E, Newsholme EA. Acta Physiol Scand. 1992 Nov;146(3):293-8. Blomstrand E, Eliasson J, Karlsson HK, Köhnke R. J Nutr. 2006 Jan;136(1 Suppl):269S-73S. Review. Greer BK, Woodard JL, White JP, et al. Int J Sport Nutr Exerc Metab. 2007 Dec;17(6):595-607. Pasiakos SM, McClung HL, et al. PLoS One. 2015 Oct 16;10(10):e0140863. Wilson, et al. Nutrition & Metabolism 2013, 10:57. Jäger et al. Journal of the International Society of Sports Nutrition 2014, 11:28.